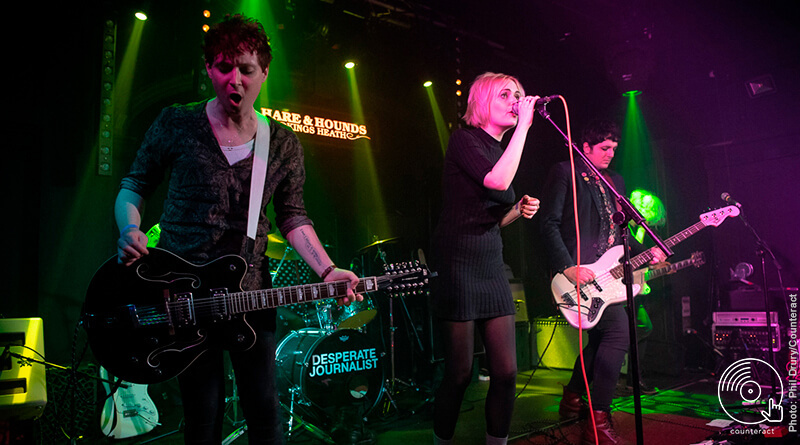 London based post-punk outfit Desperate Journalist graced Birmingham’s legendary Hare & Hounds on 14th March, treating long time fans and newcomers alike to an array of tracks from their back-catalogue. First on the bill are Birmingham regulars Modern Literature. As soon as the band step onto the stage, anyone unfamiliar with the band gets a good idea of what their sound is going to be. Clad in dark dress shirts and carrying expressions of general sombreness, a gloom is cast over the room from the get-go. 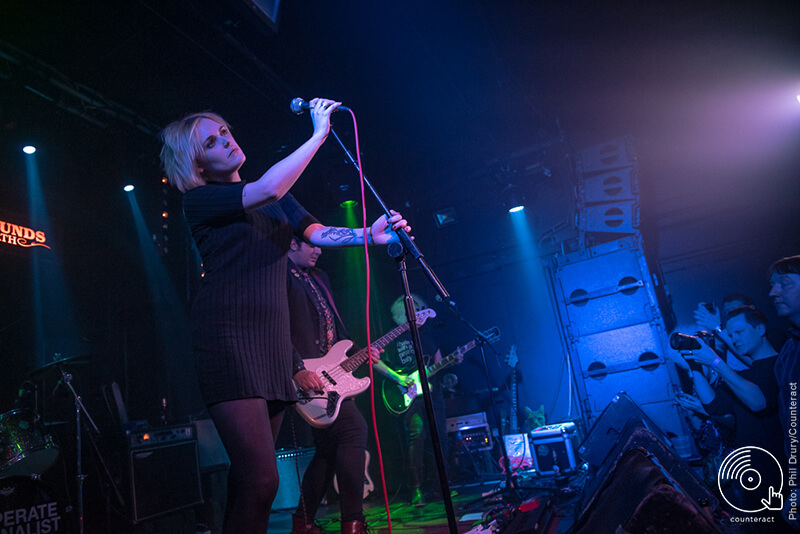 As the first razor thin guitar tones ring out and the catchy bass riff joins in, it only takes the vocalist’s stylistically strained and nervy yelps to conjure an interesting twist on the familiar post-punk revival formula. 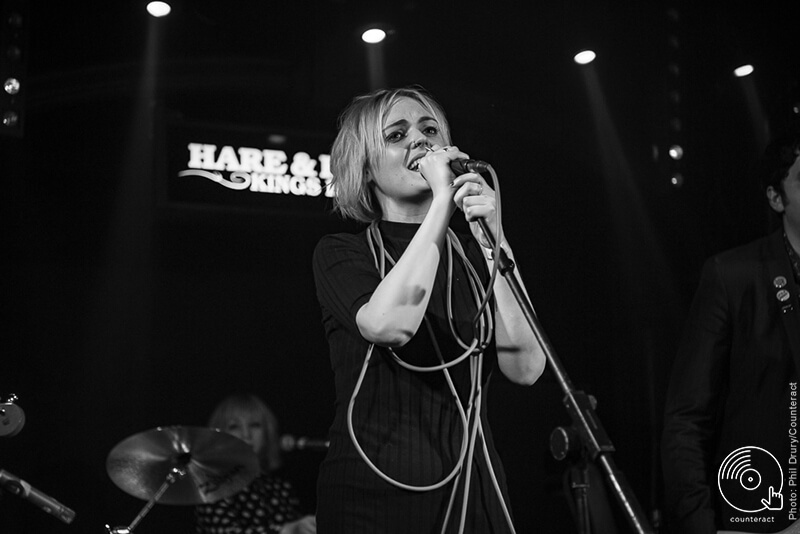 The vocalist gives off a hesitant quality, reminiscent of legendary Talking Heads frontman David Byrne and combined with the slight unsettling characteristics of Joy Division’s Ian Curtis. Their setlist ranges from foot-stomping Interpol worship, to jangle-pop, right through to some faster and punkier moments. A very welcome start to the night, and a spot-on fit for the main act. After a short set-up, twee-pop and jangle-pop veterans The Proctors take to the stage. A laminated cut-out of a ginger tabby cat rests on one of the amps as they make their way into the first uplifting chords of their set. While dreamily nodding your head along, one can’t help but get huge The Smiths vibes, with some touches of The Stone Roses and maybe even R.E.M too. Between tracks the bassist introduces the cat as Gertrude, and the crowd cheers in her honour (a beautiful moment, honestly). There are a couple of moments where the keyboard player’s backing vocals sound slightly off, and the lack of a drummer is filled in by a very stock midi drum feel, but these amateur tinges only add to the down-to-earth feel that The Proctors conjure with their warming ballads. While their material might not appeal to everyone in the room, they confidently twang their way to the end of a fun set. The crowd grows and murmurs build during the wait for the headline act, Desperate Journalist – and before long they make their way through the crowd and onto the stage. 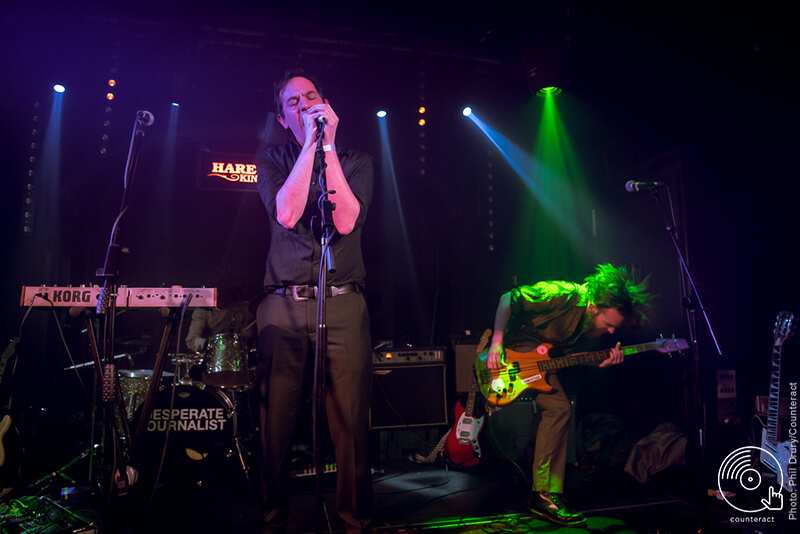 Wielding a colossal 12-string, guitarist Rob Hardy kicks off the set in unison with straight-faced drummer Caz Hellbent and eyeliner clad bassist Simon Drowner. 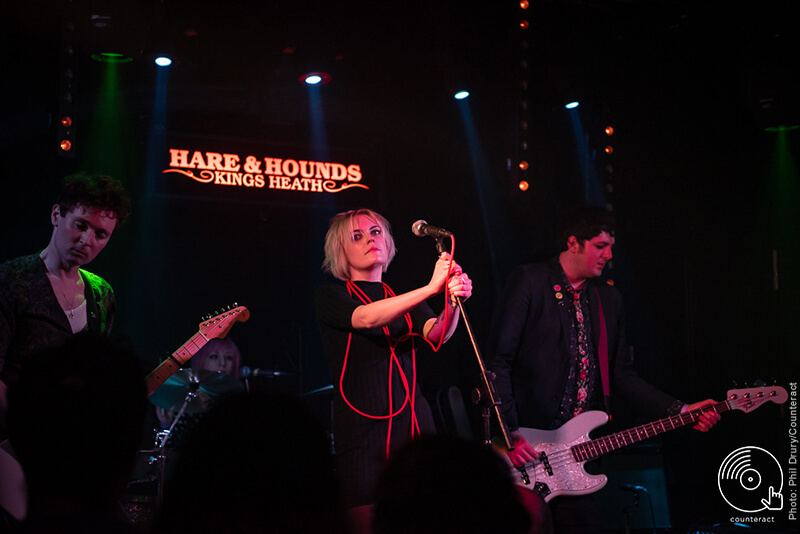 Opening with their new album’s opener, “Murmuration”, a wall of sound washes over the entire venue before subsiding and allowing Jo Bevan’s vocals to soar neatly over the mix. She shows off her impressive control over pitch and volume as she transitions in the chorus and truly belts the house down. It’s an incredible start to the set and the crowd is visibly entranced. 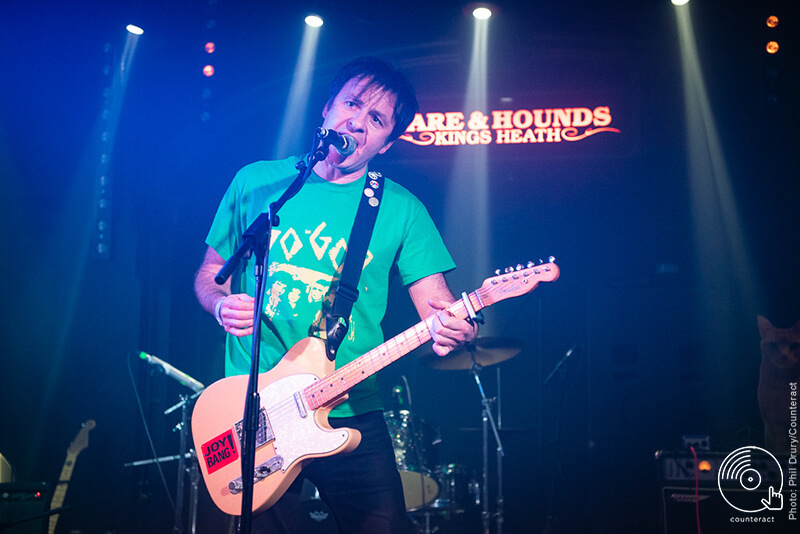 The next highlight of the set came in the form of what is arguably the band’s most successful track with nearly half a million plays on Spotify: “Hollow” from their second album Grow Up. A driving bassline along with a pounding drum beat carry the track right into yet another mind-blowing chorus. Cataclysmic guitar tones and Jo’s blinding vocals really hammer this track into everyone’s brains, ensuring an impression that’s anything but hollow. Someone in the crowd lets out an excited scream and frontwoman Jo replies with excellent comedic timing: “…You alright?” The crowd laughs and shrieks some more before the set continues with hit after hit, with new track “Ocean Wave” treating the audience to a vintage flavoured jangle-pop guitar riff, and lead single “Satellite” coming in near the end of the set to add an uplifting flavour to the audience’s collective palate. Another beautiful night at the Hare & Hounds comes to an end and everyone is left grinning.